Enjoy this 19 minute interview in which Tyler Hogan, president of Bright Ideas Press, addresses how we evaluate media for our families. 0:33 How do we use ratings in deciding what to watch? Ratings can offer a quick judgement for ages. If it has a PG or R rating, you know it’s not appropriate for your 6 year old. But you have to look deeper when it comes to evaluating value. For example, there are movies with G ratings that are devoid of any positive attributes. In contrast, there are R rated movies that are very high quality and worth watching for historical content and deep themes. 2:52 What is the difference between portraying sin and glorifying it? Portraying something bad is very different from glorifying it. The Bible itself portrays sin and evil. If you want a condensed version of the depravity of mankind, read Judges 19. Almost every possible sin is included there. It’s horrific. Yet the Bible, God’s perfect word, includes these terrible actions. The Bible is portraying this evil as evil. What is dangerous is when evil is portrayed as good and when good is mocked. 05:00 Where can we get information about the value of movies and other media? Aside from previewing everything, we can find out about media by asking people we trust who have experienced the book/movie. Then seek out online reviews written by trusted reviewers. Focus on the Family’s Plugged in Online has great reviews that outlines different trouble spots and outlines the overall message of the movie. 07:00 What are some good ways to engage teens in discussing media? The most important point here is to have the discussion. We typically watch something and say, “That was great!” or “That was terrible!” and end it there. We help our kids process media by asking deeper questions. When you ask these questions, be open to actually hearing their opinions and not be expecting a “right answer.” Be sincere because teenagers know when you are testing them and when you truly want to start a dialogue. Who made this work and why? What is the historical context of this work? What is the political agenda of the creator? What does this work as a whole say about God, mankind, and the state of the world? What does this work say is our biggest problem? What does this work say is the solution to that problem? Is that solution attainable? Or is life hopeless? What message do we get from each character? Is that message the same message the director/author is trying to convey? Is the author/director siding with a particular character? How can you tell? What does the Bible say about the issues in the work? Can you think of any relevant passages from the Bible that support or oppose the themes in this work? Is the message of this work Biblical? Are there any truths in this work? Are there dangerous lies in this work that we should be wary of? What does this work have to do with the way we live our lives? What does this work tell us to do? Be intentional about having these discussions so that it becomes second nature to analyze everything you watch during and after. This kind of dialogue creates family unity and promotes openness between teens and adults. 10:45 What if your child responds is a shocking way with an opinion that a parent doesn’t agree with? Don’t freak out; don’t scold; don’t correct. Just keep asking questions to gently probe their thought processes. 12:19 How do we handle families/friends who hold different standards than we do? All families have different standards — even Christian families. How do you handle disagreements over what to watch? It’s tricky and awkward. The first principle is to be as gracious as possible. Just because a family has a stricter or looser standard doesn’t mean they are terrible people. These media standards are secondary issues. They are not Gospel issues. Remember what Paul has to say about meat offered to idols and weaker brothers in 1 Corinthians 8. Don’t purposely cause a problem when you know that your choice will offend someone. Don’t violate your conscience by doing what you feel is wrong. Be gracious and diplomatic about your requests for media. It’s really about basic love and kindness. Let’s avoid friendly fire. If there’s a culture war going on, don’t let it be among Christians. Learn more about this topic in this MP3 product download. This video is from our hangout series. On the second Thursday of each month from 1:30 to 1:45 p.m. ET, Tyler Hogan, the president of Bright Ideas Press, will be giving short interviews of approximately 15 minutes on various homeschool and parenting topics. See the entire 2016 line up here. 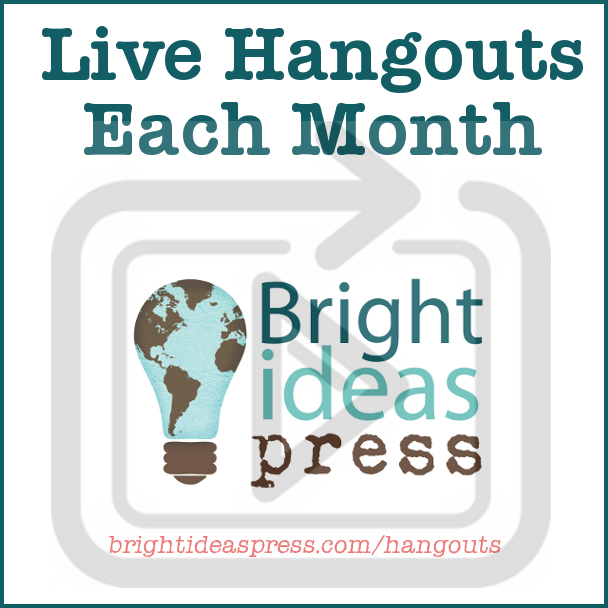 Or see all of our past hangouts on the Bright Ideas Press YouTube channel. I learn so much about my kids when we discuss movies. I get to hear their hearts…what is important to them, what they don’t understand, areas we have differing thoughts on. I appreciate your list of questions and plan to use some of them. I am also pinning this on my “Learning with Youtube & Netflix” board for my followers. I’m glad I found you at “Coffee and Conversation” Link-up. History-Making Tragedy: How Much Do We Tell Our Children?